While I talk a lot about finding your “happy weight” on this blog, today I wanted to share with you a concept that I think is absolutely essential in getting there: Finding Grace. I talk a lot with clients about finding grace in the process, whether it’s changing eating habits, changing exercise routines, or trying on a new lifestyle change. Here’s the ugly truth: you will fail, you will make mistakes, and that’s all part of the process. Finding grace is more than just “fall down three times, get up four.” It’s about kindness and compassion for yourself as you go. While it may not surprise you, a lot of my clients who see me for weight loss/intuitive eating have really low body image and self-esteem. 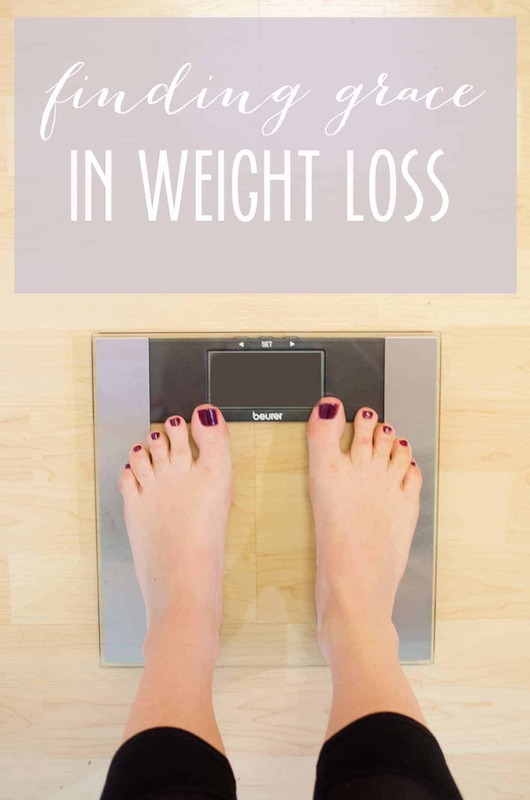 Sure, these tend to go hand in hand but simply losing weight doesn’t trigger an automatic uptick in self-love. That has to be taught and practiced. Finding your happy weight means learning to love who you are, where you are. It’s finding grace in the imperfections, the mistakes, and the lessons. I had a client last week that I think is a perfect example of this. She came back to her session embarrassed and ashamed that she hadn’t lost any weight and disclosed how she overate at various points between our previous appointment. Weight loss/lifestyle changes do not happen in a linear fashion. Sometimes we move forward and sometimes we move back. After hearing about her struggles and the current space she was in, I invited her to try and find moments of pride from the previous week. After a few moments, she shared how much she enjoyed a new cycle class that she took, how she had started to really love kale salads and how she had been drinking more water. All accomplishments that she should be recognized and praised for rather than simply focusing on what she didn’t do correctly. While I am happy that I am able to provide space for her to see more good, I want her to be able to switch the perspective as she goes. 1. Start a gratitude journal. I keep mine on my nightstand to reflect on each night before I go to bed. No matter what your goal, a gratitude journal is a great way to notice grace as it unfolds. 2. When you feel a negative thought/statement come on ask yourself the following: 1. Would I allow a friend to speak to me that way? 2. What feelings am I having right now? 3. How can I move forward in this situation? Sometimes we mask our feelings about situations with body/weight feelings. For example, I feel lonely can come out as I don’t have a partner right now because I am too fat. Focusing on the core feeling can help you see where you need the love and the focus. It’s OK to have negative feelings, it’s where we direct the energy that makes all the difference. 3. Practice compassion for yourself in other areas of your life. You will make mistakes, you will fall short of goals. This is all part of the human experience. Instead of beating yourself up, where can you let go and find acceptance? This may come easier in one area than another. The great news is that the more you practice acceptance, the more it spills over into other areas of your life- like your health or weight loss goals. 4. For those who really struggle with finding grace, I often suggest practicing on someone else first. Help someone else who is struggling with a similar goal. Give affirmations that you want for yourself. The more you practice forming the words and the thoughts on someone else, the easier it will be to return that love back to yourself. For all of us, I think the perspective change is the biggest obstacle in the way. It sounds simple, but it’s often the hardest part. So many of us suffer from striving to be better, thinner, stronger, etc. that we often forget to find grace in the moments that bring us happiness and peace. Celebrating our love of a new vegetable, a more enjoyable dinner, a relaxed approach to grocery shopping, can all seem trivial if we are expecting big things right out of the gate. Expectation and perception change make the process of finding a true “happy weight” a more enjoyable path. How do you find grace in your weight loss (or other) goals? I love love LOVE this! SO well said and will be beyond helpful for many. I love this! I am best at giving others advice or uplifting comments on health and weightloss. Myself? Not so much. I have very bad negative self talk and no confidence. And you are very right – losing any amount of weight does not mean your confidence will suddenly sky-rocket. You just find something else to fixate on! Most of us are the same way! Really great at lifting up everyone else around us, but hard to do the same to ourselves. Glad you enjoyed the post- thanks so much for commenting! What a wonderfully written blog piece and so spot on! I too find my clients struggling with this, and I agree, the gratitude journal is something that helps them find another focus point and hopefully eventually retrain their negative self talk. It’s all a process, but I love the focus on “finding grace”. Thanks for sharing! Beautifully said. I especially love #2. One of the things that makes me feel better when I catch myself with negative thoughts is “taking it to court.” Essentially, presenting myself with the evidence for or against that though. 90% of the time, there’s nothing to back up the negative self talk. And even when there is, it actually makes me feel better knowing that although there’s truth to it, there’s something I can do about it. Rachael, I LOVE that idea! Genius! When I talk to clients I always ask them to separate facts from feelings- love the thought of “taking t to court.” Thanks for the comment!